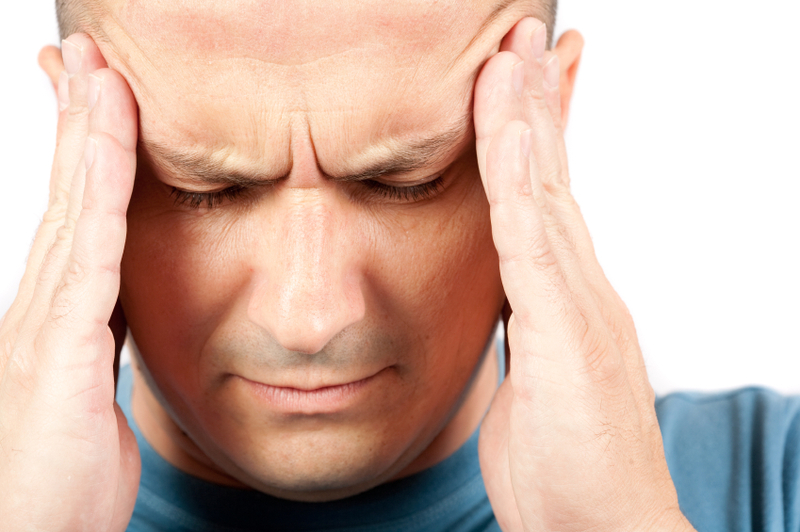 Migraine is the most common type of neuro-vascular headache. And it can be extremely debilitating to our clients. Unfortunately, the most common drugs used to “treat” them can have major, long-term side effects in the GI tract which tend to create disease elsewhere. And over-use of drugs (too long OR too much) can actually cause the very headaches they are truly to relieve! Trust me: your patients and clients are HIGHLY unlikely to realize this fact – and thus realize the importance of addressing their headaches in other, truly healing ways. I delve into all of these juicy details in our SAFM Headache/Migraine clinical course. But I want to share with you some key pearls about migraine right now. Below is a specific set of remedies I have seen work many times in providing ongoing migraine prevention. Fewer headaches. Less intense. Shorter. And in some cases: full relief. They can take 2 or 3 months to achieve full effectiveness, so it’s important for your clients to be consistent and committed (and be sure to set their expectations properly!). And of course, if we are practicing in the true spirit of functional medicine, then we will not stop with just supporting this type of Relief and will continue to support each unique patient or client in exploring and identifying their other specific Root Causes of migraines. Riboflavin. We dive into all sorts of detail in the course, but here’s what you need to know right now: the lowly Vitamin B2 is a very powerful remedy for migraine. It increases cellular energy production. You will need 400-500mg once daily which is a therapeutic dose (and yes, an admittedly high one). There is excellent research into this dynamic here and here. Magnesium. I recommend 300-400mg twice daily with food. The glycinate and malate forms are easy to find, easily absorbed, and effective, without over-stimulating bowels. Learn more about magnesium here! This minerals is so effective that IV magnesium is used for treatment of acute migraine in care facilities. (Note that these doses are contraindicated in those with kidney disease). CoQ10. An absolutely critical enzyme for energy generation in our mitochondria (the little energy factories in every cell of our body; especially the heart and the brain). For migraine I recommend 150mg twice daily with food. Be sure to use the ubiquinol or other enhanced absorption formula, especially for those over ~40 y/o (some of us lose our ability to convert ubiquinone as we age). This has also been studied. For real-time migraine relief, it’s important to take action as soon as the first inklings of one appear. Help your clients to choose to honor their body’s needs and slow down the process by lying down in a dark, quiet room and practice vagus-triggering breathing (e.g. box breathing). A combination of lavender and peppermint essential oils can be quite powerful if used quickly and repeatedly to prevent a “spiraling-up” migraine or at least reduce the intensity. I most often recommend doTERRA essential oils, though there are many excellent brands. Inhale the lavender frequently and apply both topically (to the head and pulse points as well). If you are interested in research findings about these oils, check out this and this. I hope this quick, clinical tip serves you and your clients! P.S. If you do want a deeper dive – one that includes a broad array of different headache types, as well as their specific triggers and specific remedies – please do join us to experience the SAFM Headache/Migraine clinical course. A client has suffered with migraines for years. She is using Thorne B basic and Thorne magnesium malate which have helped her. She went to her neurologist appt and they diagnosed her with occipital neuralgia. Do you know what that is and what causes that? They prescribed her with 100 mg of gabapentin and are scheduling her for an MRI. This may be helpful to you: https://www.drweil.com/health-wellness/body-mind-spirit/headache/occipital-neuralgia-healing-horrible-headaches/ . In the end, we are talking about inflamed and irritated nerves, so the mindset of addressing and finding root causes of neuropathy could be a helpful framework for your thinking (e.g. insulin resistance, insufficient nutrients, toxicity). Consider too sources of pinched nerves e.g. tight muscles (stress? ), insufficient magnesium, poor sleep)? Perhaps a need for chiropractic or osteopathic alignment support? There are also similarities between this and other types of neuralgia; you may find some help here as well: https://www.schoolafm.com/ws_qa/trigeminal-neuralgia/ (enrolled students will be able to see this). I didn’t realize you all worked with migraine headaches. I am a Board Certified Health Coach (AADP) and this is my area of expertise. Welcome, Lynne! Yes, SAFM offers courses on a wide variety of topics, and the membership database includes hundreds of posts on a rich variety of case studies covering many more. Our students include a wide variety of practitioners including many health coaches but also nurses, nurse practitioners, therapists, physicians, etc.. Your expertise is well needed – good for you! You are right. It is a much needed area. I love to help people incorporate some holistic methods into migraine therapy. Yes, I believe the other specific supplements recommended on this page are fine for an otherwise-healthy 14 y/o girl. Of particular note in this case is whether the migraines originated actually coincident with her menses. Be sure to consider this, as migraines can be a fairly prominent symptom of estrogen dominance. And certainly to your point, xenoestrogens such as those found in personal care products, household cleaning chemicals, and pesticides/herbicides (as well as conventionally raised beef products and dairy foods) can play a substantial, exacerbating role. I believe these exogenous hormone sources are a major player in the epidemic of overall hormone-mediated challenges we see in today’s teenagers (e.g. very heavy menses). I would encourage regular, daily intake of cruciferous vegetables, especially broccoli or perhaps (even better) broccoli sprouts. Also daily evening primrose oil and omega-3 essential fats and also a high-quality multivitamin that includes B vitamins to support hormone detoxification. Make sure there is no constipation. It is critical that we educate young people about the power of their choices early on in their lives! Because it is easy to access, I often recommend Jarrow’s “QHAbsorb” which includes the ubiquinol (reduced) form of CoQ10. This form is often needed for maximum utilization in our clients in their 40s and older, so I recommend it to be sure of efficacy. If a client needs a form without binders/fillers due to impaired digestion/absorption, I usually recommend Thorne’s “Q-Best” which is liposomally encapsulated for optimal absorption (but this latter does contain soy).